In the complexity of daily dose of stress and disappointment, we tend to lose the charm of our own existence which takes us to undefined level of perplexity. We are all intertwined with less optimistic vision and gradually fall off the radar of loving ourselves. It stops us and strips us of our capability and definitely leaves us not pampering ourselves. In such case, many people have experienced profound difference and practised the art of self love, through regular practice of yoga. It is raw source of emotional masturbation which brings us eternal happiness and imbibes self love. Here the question is, how yoga has made a ebullient effect in developing love for ourselves? Self love is a beautiful start of loyal relation with our soul which only deepens with regular dose of yoga. We all have some sort of energy flowing within us, which drives us and gives fodder to our soul. Self love can be practised with flow of right kind of positive energy, which encourage us and empowers us with capability to see optimism in things. Yoga makes us feel good about ourselves, our body and connects us with our hidden side. Every morning with a regular dose of yoga, we are charged for the day and rejuvenated enough to keep the love intact. In order to cultivate self love, it is very important for positive energy flow which can be attained with regular yoga practice and meditation. Self love is directly proportional to acceptance of who we are and what we are. Acceptance can make a huge impact in our lives and helps us in our self growth. When we talk about acceptance, it can only come if we start loving ourselves without being shallow on thoughts, yoga bringing a healing effect. It helps us in accepting our body, our flaws, our bad and goods which profoundly impact our lives. The day we start accepting ourselves, we get into an immortal relationship with ourselves. Yoga has proved to be highly beneficial in helping one to fall in love with self. Yoga and meditation is known to bring peace and tranquil in our mind and mould us in strong spiritual ground. Once we make peace we ourselves, nothing can stop us but love to get moving. When we have attained a level of peace in our mind, it spreads throughout and inflicts our soul for deep rooted celestial bond with our soul. The peace attained by yoga syncs our mind and body together, which is terrestrial in bringing unconditional love in ourselves. Yoga is something which happens step by step, making us gradually comfortable and let us honour our pain. It empowers us with motivation and strength, which empowers us for better learning and intensive inner growth. Yoga teaches us self love because for every move we take, we achieve a milestone which empowers us. It is a way to motivate ourselves and strengthen our roots. On strengthening our core, it helps in enhancing our positivity and thus cultivates self love by letting our body go beyond horizon. Yoga is the best therapy which fights negativity with love, by responding to our inner demands and walking through the journey together with our inner soul. It is how we pick up our pieces and solve the puzzle, to climax us into self love restoration. Feel the love with daily dose of yoga. Manmohan is a yoga enthusiast, free spirit, traveler and freelance writer from Rishikesh. 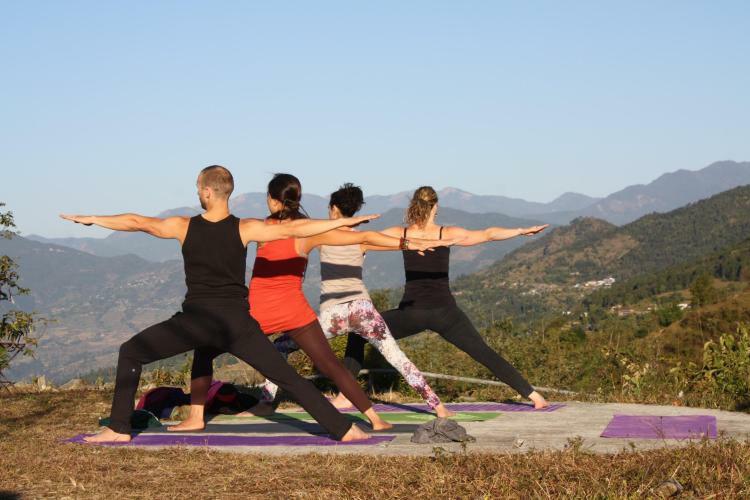 He run 200 hour yoga teacher training in Rishikesh, Nepal, Thailand and various other countries, where yoga, meditation, Ayurveda, and spirituality is taught under the expert guidance of traditional and authentic yoga instructors.